Vienna, the capital of Austria, is known worldwide for producing a great composer that once lived on this earth. The name is Mozart or more specifically, Wolfgang Amadeus Mozart. People who want to get to know more about this famous composer can do by visiting the Mozart House in Vienna or Mozarthaus in German. Situated on Domgasse 5 in the first district of the capital, the house is where Mozart grew up and spent the years from 1784 to 1787 there. It was here where the composer created “The Impresario” and “The Marriage of Figaro” among his many musical works. First opened to the public in 1941, the Baroque building has been transformed into a museum features three levels. 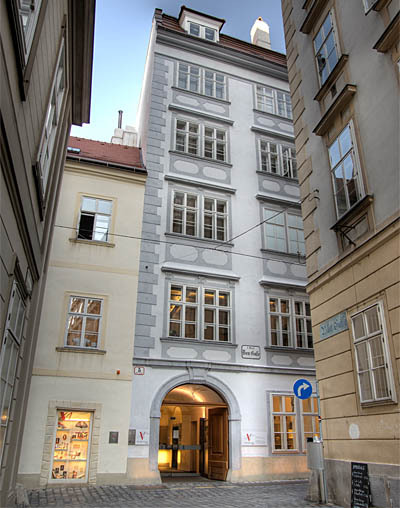 It is the only flat of the Austrian composer that has been preserved to its original structure. The Mozarthaus also underwent major renovation works in 2006 in commemoration with the composer’s 250th birth anniversary. Today, this famous tourist attraction is run by the Wien Museum. he spacious flat on the ground floor will show visitors the kind of life Mozart had during his time including his ties with the Freemasons and their activities, his love for games and gambling. Visitors will also learn about his family in this area. The first floor which was the original apartment of Mozart now houses a café and a souvenir shop. It also serves as an event venue from time to time. The second level is where people will get to learn about the composer’s operas, his musical oeuvre and Vienna’s musical tradition in the 18th century. It is here where Mozart’s contemporaries in the Vienna music scene are presented. Those who wish to listen to some of this Austrian composer’s masterpieces can also do so here on the second floor. On the third floor, visitors will see some of Mozart’s friends and close competitors and his activities in Vienna via a collection of photos.